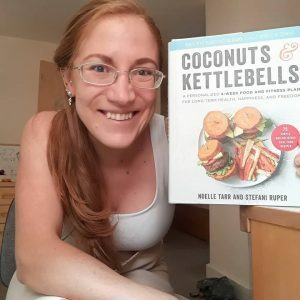 IT’S FINALLY HERE – Coconuts & Kettlebells, the Book! The time has finally come! 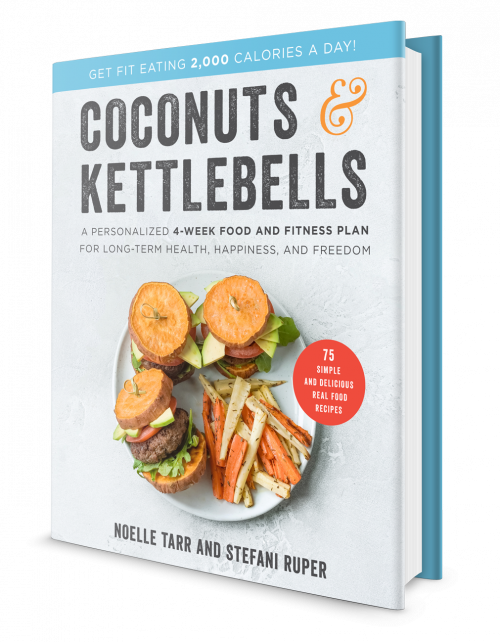 You can now get your hands on our brand new love child, the Coconuts & Kettlebells book! If you haven’t heard anything about this new project (then my marketing person has some explaining to do, ((I kid!)) this book is basically a personal trainer at your fingertips. We remove the stress of searching for a personal trainer, making calls, spending a boatload of money, all so you can have a convenient little package rolled into one for you to refer too. You can order it on Amazon here! In the meantime, I’ll just tell you briefly what it’s all about. I am just so excited to share with you something I love so much, and a product that I think will be a great tool for women and may even revolutionize the way we do nutrition. Over the course of our time working in the health and nutrition space, Noelle and I both came to realize that there’s something off about the way we do nutrition. And the off-ness we discern isn’t just confined to calorie counters and juice cleanses, but applies to most major health gurus that everyone follows, even the best of the best of the paleosphere. These gurus have two major problems: 1) they typically apply one-size-fits-all solutions, and 2) they fail to understand the relevance of psychological factors for physiological health and making sustainable improvements. One-size-fits-all solutions are the most popular kind of solution out there. This is because they are simultaneously easy and profitable. 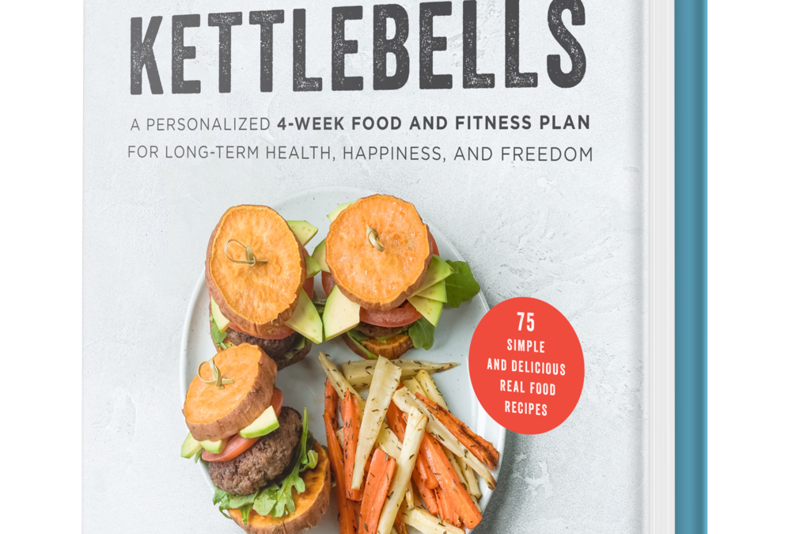 They’re easy because the health gurus who extol them get to pick one area of health or slice of literature and know it really well, and they are profitable because one-size-fits-all solutions sell. In these conditions, health gurus win, and many other people lose. One-size-fits-all solutions are appealing. Consider the ketosis craze. Everyone loves the idea that just this one simple trick will help you lose weight and maybe solve all your other health problems, too. Or think about diet books that promise you eliminating these seven foods will be your path to health, happiness, and freedom. Or books that say paleo will fix you. It is really nice to relax into the simplicity of such ideas. And it is easy to believe the hype–with all the before and after stories–and think that your turn is going to be next. If you do this one surprising thing, and if you do it really well, all your problems will melt away. B) have sold out, because their marketing lessons have taught them that magic bullets sell better than careful plans. Noelle and I are here to call BS. Health isn’t one-size-fits-all. This isn’t true for macronutrients or micronutrients or exercise or sleep or stress. Everything is specific to your own body and your own needs. Of course there are some general guidelines that are probably helpful for the majority of people: reduce stress, sleep more, focus on eating “real” foods (though, I’d argue, even real food can get fuzzy for people dealing with disordered eating and body image issues). So we’ve written a book and made a plan that helps you figure out what’s right for you. No more shooting in the dark with tips and tricks offered by people who show off their six packs in their instagram photos. Instead, we show you how to figure out which foods best support your health. We help you decide which macronutrient ratio is best for you. We help you learn which exercises are best for you. And more. So far as psychological health is concerned, Noelle and I both know first-hand that food is complicated. Pretty much all of us have some sort of emotional relationship with it (and that can be a positive one, too; I’m just saying, we all have relationships with food). One of the problems we noticed in the health sphere is that most “diets” are too restrictive. The dieting mentality is all about what you avoid. Avoid carbs or fat or avoid “toxins.” Stay away from grains and dairy. Avoid eating too many calories. Definitely don’t eat snacks or fruit. Over the last few years Noelle and I have seen so many people just practically lose it — or at least fall off the wagon — because the elimination diets they are following are too strict. It causes them to become restrictive, obsessive, and eventually develop a negative relationship with food. We wanted to provide a plan that feels as good for you psychologically as it does physically. To that end, we support you with material that teaches you how to have a healthy mindset and love your body. We have already created an elimination trial diet that maximizes the gains you receive from the elimination while simultaneously maximizing your feelings of happiness and freedom. You can snack. And, you can eat fruit (as much as you like!). You can eat fat & you can eat as many calories as you feel you need or want. And you can still arrive at the kinds of solutions that health gurus talk about–increased energy, easier weight maintenance, better sleep, radiant skin, reduced symptoms. So all in all, this is in the Coconuts & Kettlebells book. And we love it and believe in it fiercely. It’s got literally everything you need in it to be healthy and love your food for arguably the rest of your life! and a personalized fitness plan. We can’t wait! It is available for you to order now. You’re lovely and thank you for being a part of this amazing journey!! !